In the last few days, an unfortunate matter has risen in our community. In a nutshell, The New York Daily News- long time media sponsor for the Puerto Rican Day Parade- printed a story that misrepresented our parade, undermined our efforts to change the image of the parade, and to top it off has not responded to our web posts or protest activities which have been covered by Univision, The View on Channel ABC and many other independent media outlets. Amazing and hotly trending analysis by Rich Villar here, and my petition to be sent to the Editors at the paper, with over 600 signatures in less than a day, here. This new board has committed to preserve pride in Puerto Rican roots, culture and traditions including a focus this year on our Afro-Boricua heritage, as well as bringing attention to the environmental, social and economic conditions of Cano Martin Pena, a nearly 4-mile-long canal in San Juan, a dangerous waste-to-energy plant in Arecibo (the art installation theme of the Capicu float and marching contingent), and civil rights matters such as amnesty for the Puerto Rican activist Oscar Lopez Rivera, 72, who is 34 years into a 75-year sentence as America’s only remaining independista prisoner. All great projects that the paper could have showcased as indicative of the new direction of the parade. But… alot of that work was shot right to carajo, because one of the major media outlets that sponsored the parade decided to fall back on the tired old stereotype. With a picture that wasn’t even taken at the parade, of girls bodypainted in PR imagery for the day but who were not actually Puerto Rican… just looking for tips on Times Square. Editors at the NY Daily News: The Society of Professional Journalism Code of Ethics states that you must: “Avoid stereotyping. Journalists should examine the ways their values and experiences may shape their reporting”. The way you reported the PR Parade story was tasteless and lazy stereotyping. You didn’t even look into it or ask questions beyond the snapped picture. Was it too much work or is this business as usual for you? Seems to me that you represent the last bastion of an ousted regime, and so it is probably time to part ways. I understand that things used to work a particular kind of way for a very long time. Too long of a time. There are many practices that went on in this world for hundreds of years running unchecked. Hint: your history books? Chock full of ’em. We even see it in the news you report. However, as I mentioned up top, it’s a new and revolutionary day. All those relationships bought in the past do not hold the same weight here when activists are at the helm, we will not allow our respect as a people to be on sale. Much less now that my team and I are watching. 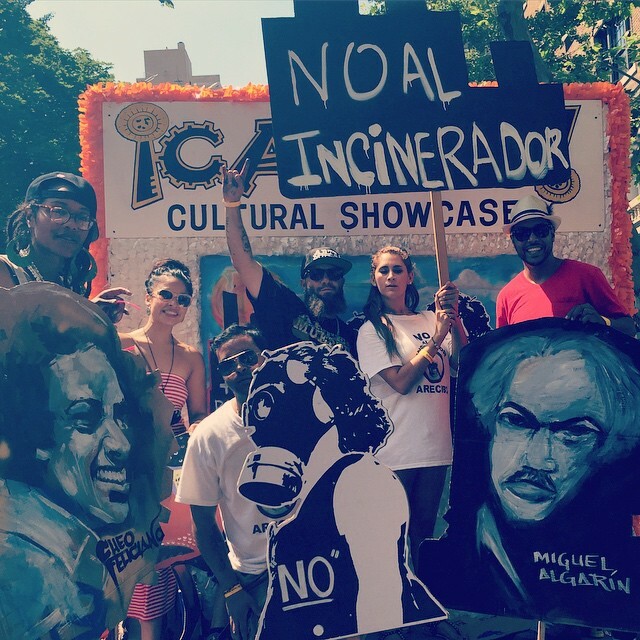 Realize that there are so many alternative news sources that are friendly, in fact co-collaborators in a movement to introduce correct media representation of Latin@s into American culture. We have sites like Centro Voices, Virtual Boricua, LatinoRebels, La Respuesta, La Galeria, and the very one you are reading, Sofrito For Your Soul, for information about the Latin@ diaspora, from writers committed to the diaspora operating as one community within a dynamic exchange of ideas. This news is further disseminated into our community by entities like Being Latino, PR Flags Up, the hashtag ‪#‎boricuasonline and many other sources. This mode of communication that we are being given by your end, where we express our pointed outrage and you just go on about your day with the next story… that’s outdated. Every major story is now an intersection of conversations from tweets to blogs to media outlets. You’re not just going to talk down to us anymore without pushback, we can- and we will- pick up our investment and go elsewhere. To a media company that gets it right. Maybe, keep it among ourselves. Point is that we have options. This evening, we informed the NY Daily News that we have terminated our relationship, effective immediately, until the newspaper publishes a formal correction and apology for the misleading and false coverage of the Parade, on Page 8 of the June 15, 2015, edition. Journalism has the power to affect and touch many people’s lives. When false information is published and left un-rectified, others, who are not aware that the reporting was inaccurate, perceive misleading and erroneous news reporting as “truth”. The NY Daily News editorial team’s irresponsible actions, which can be deemed as yellow journalism, are damaging to our communities and to our Parade. We are honored to work with partners who respect human dignity and who have the highest regard for the Puerto Rican and Latino community. We recognize everyone makes mistakes, and we work with partners who have the strength of character to recognize and correct them; particularly when those mistakes are damaging to families and communities. Since the Daily News has opted otherwise, we will no longer partner with them, now and in the future, until they take corrective action. is a Writer, award-winning community builder & cofounder of @CapicuCulture and La Sopa NYC: The School of Poetic Arts. He also makes a mean coquito. What the daily news has done is disgraceful and unacceptable. 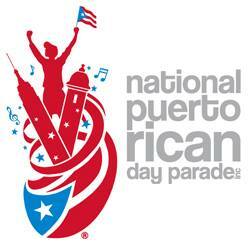 I’m appalled at the misrepresentation of what our Puerto Rican parade really stands for. What a cheap and distasteful way to sell news papers, SHAME ON YOU! I attended the Puerto Rican day parade after 22 years. I was very disgusted by the woman who were on 42 times sq. ( not marching on 5th ave) yet somehow the Daily News shows those half naked woman who are not even Puerto Rican!! I knew the minute I saw those woman that they were a bad representation of our culture!! I had my daughter, 2 nieces & 3 friends with us and we all agreed that those woman were being pimped out by the men standing next to them collecting money to take pictures with them!! I wrote an email to the daily news too letting them know they should retract their photo & story and talk about the real representation & reason for our yearly parades. It’s unfortunate that a few always have to mess up our parade every year. Shame on them.